Environment minister Therese Coffey has threatened Bristol mayor Marvin Rees with legal action if he does not meet new deadlines for a plan to tackle air pollution in the city. In a letter published online, Dr Coffey said she was alarmed to hear that Bristol City Council had stated that it would not provide its outline business case until summer 2019, given that it was obliged under a ministerial direction to do so by the end of last year. Dr Coffey told Mr Rees that she now requires by 21 February an outline business case ‘that justifies the proposed preferred scheme to deliver compliance based on full and complete analyses including air quality, transport, and economic modelling as well as setting out the procurement, implementation route and affordability of the scheme’. She also specified that all necessary public consultation on the preferred scheme should commence by 29 March, with a full business case by 27 September. However, as Transport Network has reported, two other cities have recently escaped sanction after they repeatedly missed deadlines to draw up air quality plans, despite threats of ‘serious consequences’ from Dr Coffey. A spokesperson for Bristol said it was ‘fully committed to tackling air quality’ and was carrying out technical modelling work to explore fully all possible options. 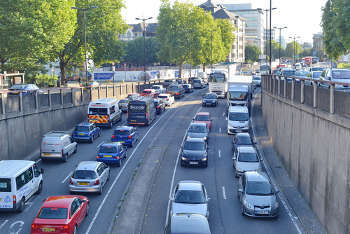 The spokesperson said: ‘We’ve been clear with the Government’s Joint Air Quality Unit that we will take the proposals forward and we are working to ensure that the potential solutions have the highest possible chance of success. We are therefore looking at the bigger picture including measures to cut congestion and improve public transport, infrastructure and traffic management. Separately, ministers have approved Leeds City Council’s plan to implement a charging Clean Air Zone and provided £29m in funding. The council had asked for £13m to cover infrastructure and operation costs and £27m to help businesses upgrade or retrofit affected vehicles. The council said that £23m of the £29m provided was to support businesses.